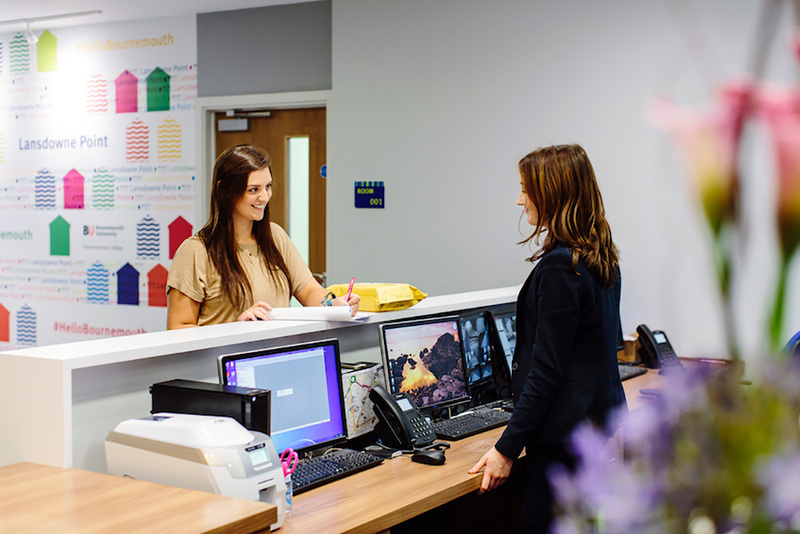 Kaplan Living Bournemouth has been specially designed to meet students’ needs. 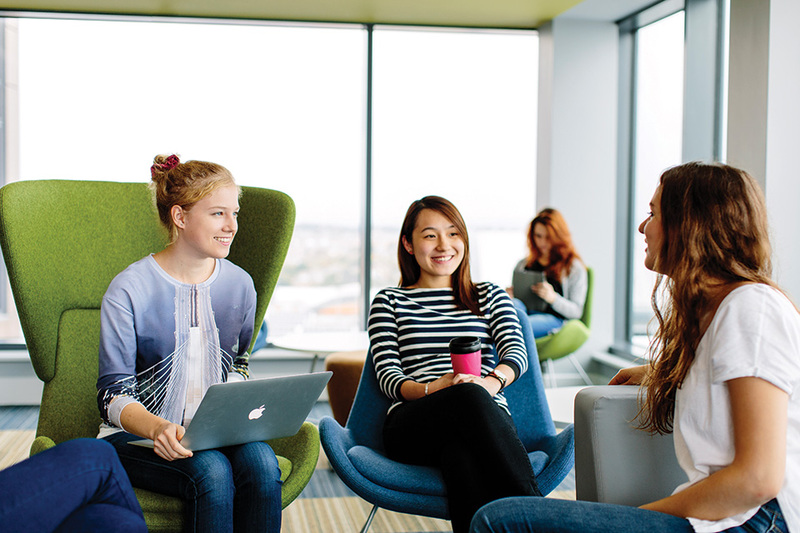 You’ll enjoy a warm and friendly environment and a range of modern facilities, helping you to make the most of your study experience. 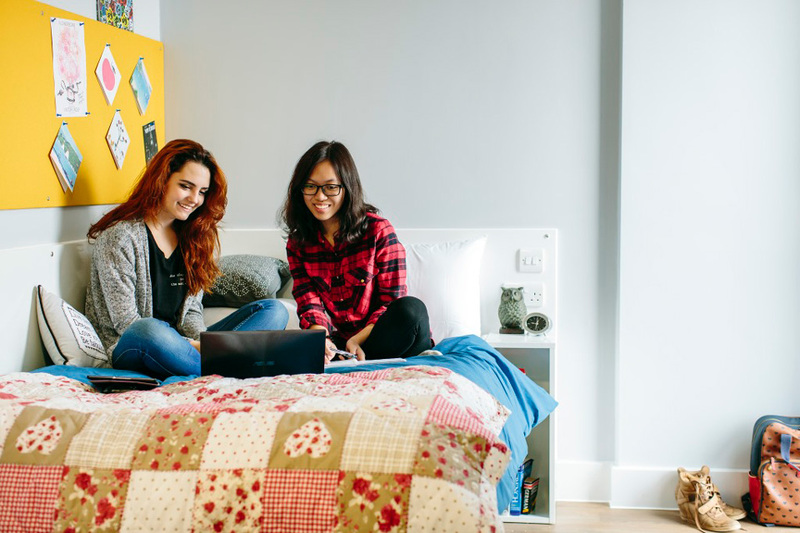 The accommodation is right next to Bournemouth University International College, and it’s just a 5-minute walk to Bournemouth train station, and a 10-minute walk to the beach. It’s also close to lots of shops, restaurants and bars. 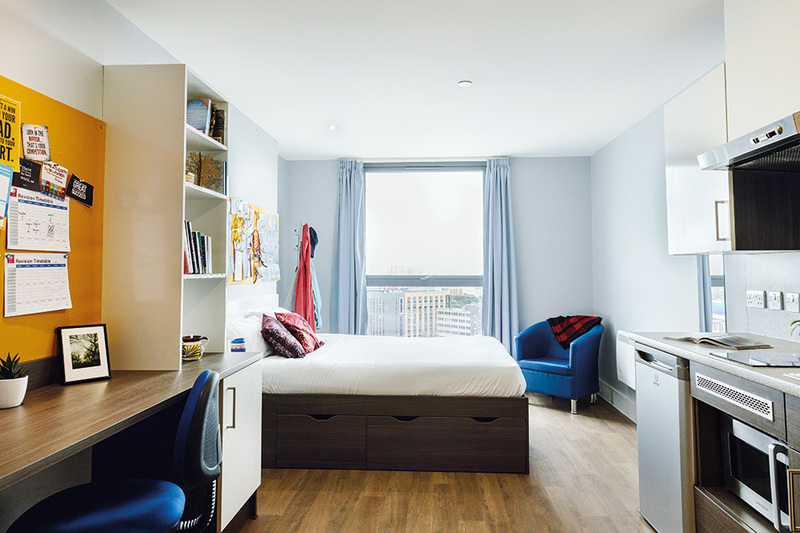 Its modern apartments include bedrooms with a private bathroom, study desk, and plenty of storage space, as well as a shared kitchen for up to 6 students. If you like a more independent lifestyle, you might prefer a self-contained studio apartment. These feature a private bathroom and a well-equipped private kitchen. Kaplan Living Bournemouth also offers you great social spaces for relaxing with friends, some with fantastic views across the town. You can enjoy a game of ping-pong or table football, or just play some video games with friends, in the communal areas. 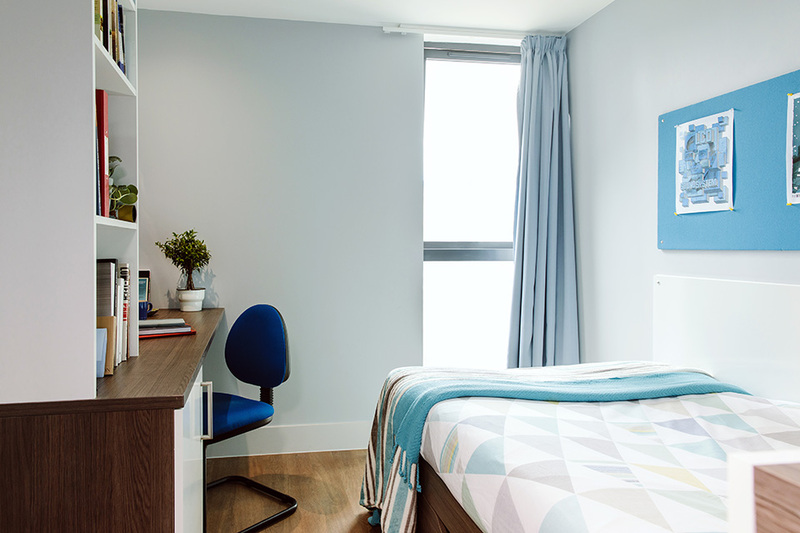 Take a look inside a classic bedroom, bathroom, studio apartment, kitchen and a shared social space at Kaplan Living Bournemouth. A private bedroom with its own bathroom, equipped with a shower, toilet and basin. The Classic bedroom offers you plenty of storage space, a small double bed, and a study area with a desk, chair, shelving, cupboard and pin board. 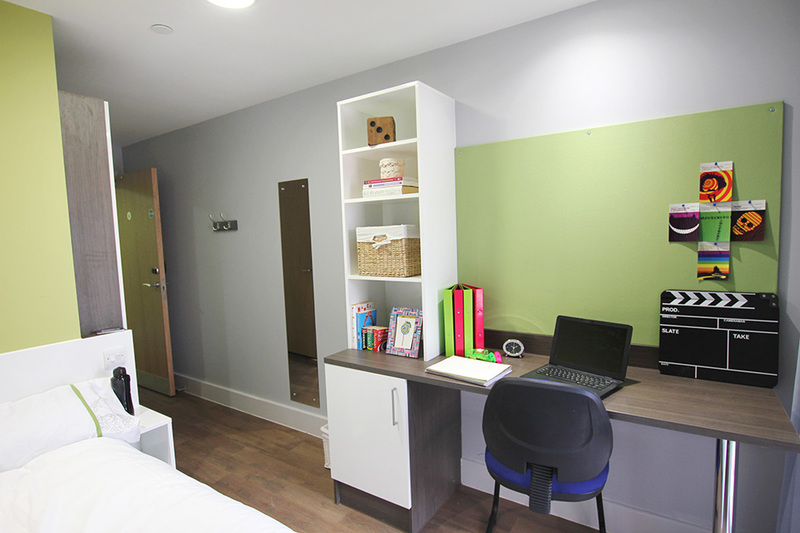 You will also have access to a spacious shared kitchen for up to 6 students, as well as a dining and sitting area. With the same features and amenities as the Classic, Deluxe bedrooms are simply more spacious. 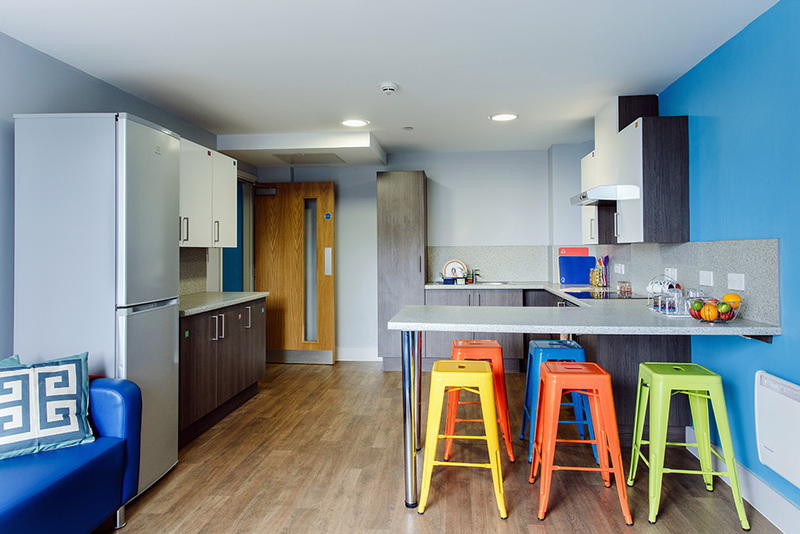 You will also have access to a shared kitchen for up to 6 students, as well as a dining and sitting area. Panorama bedrooms are larger rooms located above the 11th floor and offer spectacular views of the surrounding area. A large, self-contained flat with a bathroom (shower, basin and toilet) and private kitchen facilities. Includes a study area as well as plenty of storage space. The Panoramic Studios are large, self-contained flats with private bathroom (shower, basin and toilet) and kitchen facilities, and they also offer fantastic views of the area.